The UT Middle East Ensemble brings the community together in several ways. First, the ensemble invites musicians from the community to participate. Second, the ensemble itself is a welcoming community of friends and musicians from a multitude of backgrounds. Thirdly, the ensemble performs in numerous community outreach events, sharing music from a region of the world that's often misrepresented and misunderstood. Music reflects culture and humanity and is an integral part of our day-to-day lives. In this interview, Lillie Gordon, director of the UT Middle East Ensemble, explains the instruments and sounds that are unique to Arab music, while also discussing the commonalities of subject matter with music from all over the world. 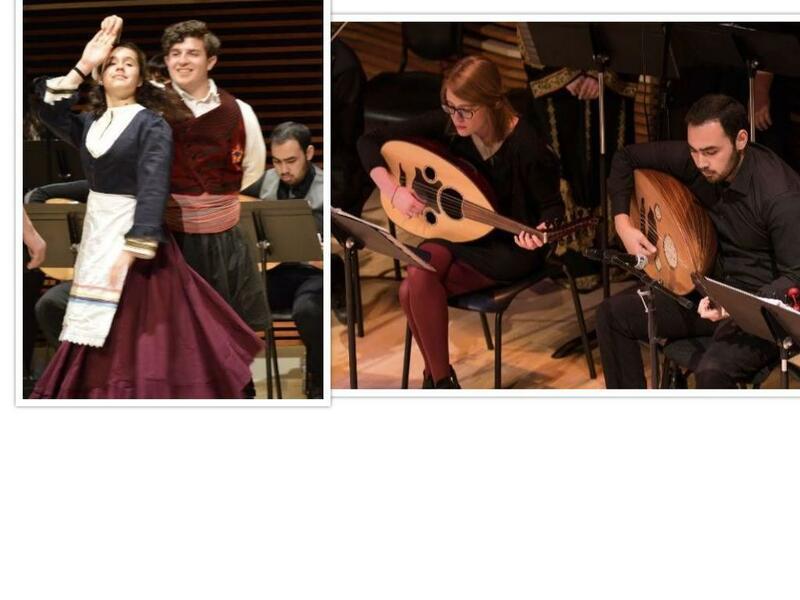 The UT Middle East Ensemble performs on Sunday, April 14th at 7:30pm in Powell Recital Hall, located in the Natalie Haslam Music Center on the UT Campus.